Vote forMelbourne, VICTop Major Destinations Which are Australia's must-visit destinations? You help us decide. Second to Sydney no more, Melbourne has continually grown and evolved over the years and has now placed itself firmly on the international stage as one of not just Australia’s top cities, but those in the world as a whole. Boasting a strong cultural and artistic blend and immense variety, Melbourne has received a heaping of praise from the international community in recent years as one of the world’s most liveable cities – and when combining its many positives, it may just be the country’s best. Melbourne is a city that’s often described as having far more “depth” than its glittery northern brother, Sydney, and upon further inspection, it isn’t hard to see why – art, food, shopping, a great public transport system, a strong coffee culture and relatively clean air for a big city are all contributing factors. Melbourne has managed to grow substantially, yet still retains somewhat of a small-town, “indie” cultural vibe in many areas, and in some ways it is everything that Sydney is not. In simple musical terms, if Sydney is “mainstream pop”, then Melbourne is “critically-acclaimed alternative”. Dining is one of Melbourne’s hallmarks, and the city receives continual praise for both the quality and quantity of its dining establishments and cafes – it boasts one of the world’s highest cafes-per-capita ratios, and it seems on every little corner there’s a charming spot with great food and friendly smiles to capture a slice of your heart. This sense of refinement crosses over to cultural offerings as well – Melbourne’s cavalcade of museums, art galleries and concert halls mean there’s always something to see and do for those with a cultural or historical bent. In raw tourist terms, Melbourne also does not disappoint, as the city also plays host to a number of great attractions for the family such as multiple quality zoos and aquariums, while its own Yarra River serves as a gateway to the culinary delights offered by the widely-acclaimed Yarra Valley wine region nearby. The influence of sport also permeates Melbourne on many levels – the city is rich with sporting traditions of multiple different kinds, and as the birthplace of Aussie Rules Football the locals are known as extremely proud supporters of their local clubs. Music is another staple of the city, and its strong alternative scene and cavalcade of live music venues has lead to Victoria’s capital producing some of Australia’s most famous bands and musical groups. Of all the regions in our nominee list, Melbourne offers perhaps widest range of activities and things to do when combining both those within its borders and just outside – with the likes of Phillip Island, the Great Ocean Road, Dandenong Ranges and more easily reachable from within day trip distance – so if you’re looking for an Aussie destination to travel to and around for longer periods of time, Melbourne should be near tops on your list. Don't neglect Melbourne from your Aussie itinerary when doing an east-coast route and miss out on all the best that Australia's coffee and cultural capital has to offer - this is a city of architecture, art and great food with plenty of unique and memorable things to do both within and outside its borders. Melbourne is alive with fantastic restaurants, quirky cafes and charming little side streets that will keep you busy exploring for days and is host to a dizzying array of quality attractions. Looking to pay a visit to Melbourne but not sure what to do? Here are some of its most essential experiences. What's new in Melbourne in 2016/2017? Immensely popular children's attraction Legoland - the first of its kind in Australia - opened at Chadstone and has proved a major drawcard for local and visiting families alike. Need more info on Melbourne? Check out our detailed travel features on this top spot below. With an overwhelming array of activities and attractions for both young and old, Melbourne has plenty to offer visitors of all ages - including at night. We highlight 10 top Melbourne night experiences here. It's the eternal question when it comes to Aussie flagship capital cities: Sydney or Melbourne, which is better and why? We tackle the issue in the internet's most detailed breakdown of the Goliaths here. Melbourne's cityscape is as diverse as its people, and home to a number of wonderful natural and man-made attractions both within and outside the city limits. We take a look at its must-see icons. 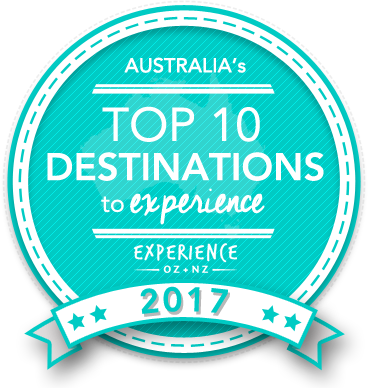 Is Melbourne Australia's Top Major Destination to Experience for 2017? Vote now for the chance to WIN an epic trip to one of Australia's top destinations!